I haven’t talked much about successful inclusion of students with ASD in general education classrooms. As we finish up the 10 Steps to a Well-Run Classroom, I want to talk about how we include our students from self-contained classrooms into general education classrooms. Our students need a chance to interact with typical peers. They also need the opportunity to learn from models with more advanced skills. 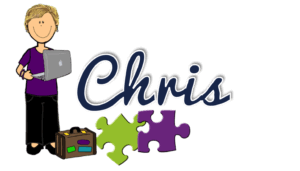 It’s about so much more than just accommodations and modifications. I am going to cover the basics for all students included for some part of the day. They might participate in specials. Or part of their day might be in general education. Or they might attend a self-contained resource room classroom for part of the day. You will need to add elements specifically based on the needs of the individual (e.g., social skills instruction). However, these 7 tips are the starting point for success inclusion of students with significant educational needs. I am going to cover them somewhat briefly here and will expand on them in future (or past) posts. Whether a student is included all day or just for 1 activity in the day, it’s important to know what the team has identified as his or her goals for that activity or activities. Without knowing this, it is impossible to know how to focus time and instruction. Here’s an example. 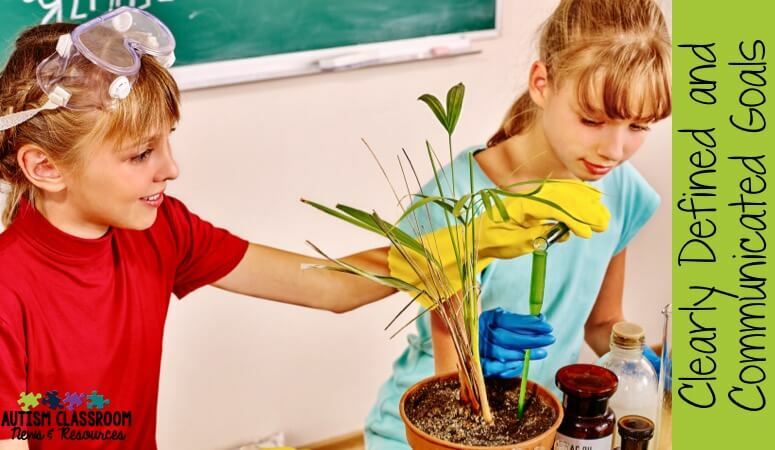 If Ronnie is included for science labs but the focus is on demonstrating mastery of the science curriculum (without modifications), then instruction will focus on pre-teaching the science lab and then demonstrating it in the science class. Any support personnel would then not assist with the work itself, but might not facilitate social interactions with a peer. However, if science was chosen as a time for Ronnie to specifically work on social skills and collaborating with peers, the focus would be on sharing materials and collaborating with a lab partner. In that case, the staff might teach the science concept in the self-contained classroom and capitalize on the opportunities for social skill interaction in the lab. 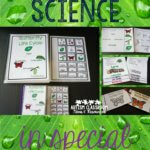 In each case, both skills are taught, but the focus of what happens in the science class is different. It’s important to have clear goals. But if you don’t share them with the staff who support and teach the goals, having them doesn’t matter. If they don’t know that Ronnie should work on social skills, they may focus on the wrong thing. It’s critical that the general education teachers who plan the instruction, as well as the staff who support the student or the classroom, know what they should focus on. A teacher can’t plan lessons for a student when she doesn’t know what to teach. And general education teachers often don’t know what to focus on for our students in special education because they don’t see the big picture if the student isn’t with them all day. And it’s the same for the paraprofessionals who support our students. 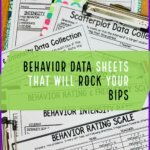 I think the TIP (Teaching Intervention Plan) or the CAPS (Comprehensive Autism Planning System) are great tools to identify goals and communicate goals. You can identify the chosen goal to be taught in that activity and share the whole document or just that part of it with the staff who support the student. I like the TIP for several reasons for communication of goals.. First, you plan it according to the student’s IEP and curriculum goals, so it assures they are covered. So completing the TIP is a good exercise in thinking about whether a specific inclusion opportunity is meaningful for a student by the goals you set. Second, it outlines HOW to teach the skill, not just where. The staff then know the type of supports to use and how to take data. I use the original CAPS form for students who are included for the whole day. In this case, you have to plan how to embed the student’s goals into the teachers’ schedules, rather than making the schedule based on the goals. It gives guidance about types of supports that students can and should have. It also identifies how data will be taken. Let’s face it, our students need TONS of visual supports in the special education class. And yet, I visit so many classrooms and watch a student go off to a general education class with nothing. This doesn’t make sense. He needs so much support in a smaller setting with MORE structure. Doesn’t he need MORE supports in a larger setting with LESS structure? Of course. You probably will need to take more visuals to the larger setting. 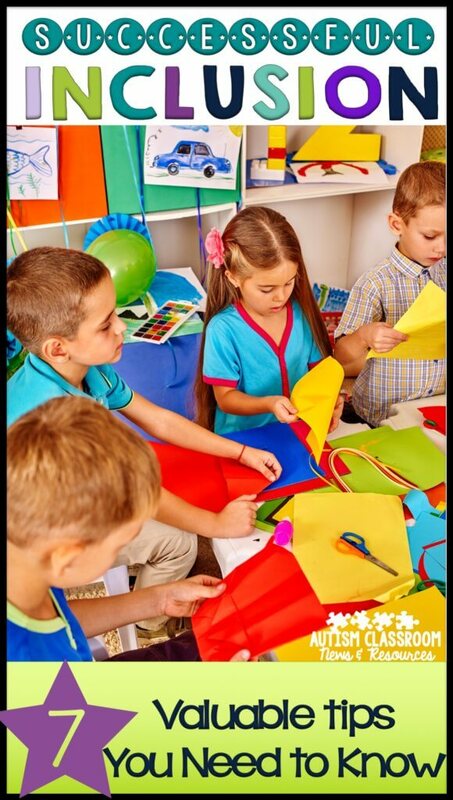 And they might be the same or different structures to the ones you use in special education. If you need ideas about how to organize supports for students who are included, you might want to check this post. 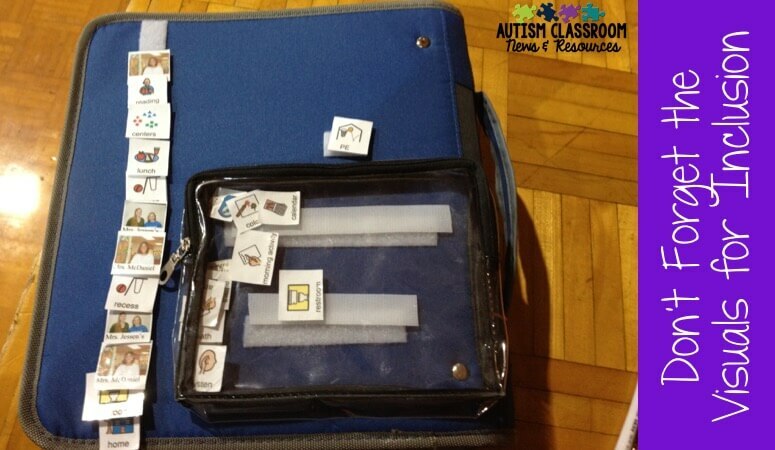 Please remember to take the visuals when including a student with #autism. 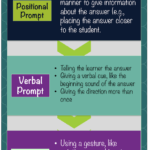 Just like with the visuals, think about the types of behavioral supports the student will need. Here is a quick checklist I would go through to think about what to include. Does the student have behavioral issues keeping him from participating? If so, has an FBA been done? Is there a behavior plan? No? Do both. If there is a behavior plan, does everyone supporting the student know how to implement it? If not, teach them. What elements are in his behavior plan and how can you implement them in other classrooms? If he needs it with you, he will need something more supportive where he is going. Does he need work assigned in small pieces? Then make sure to break his work down elsewhere. Are there problems that don’t occur in special education class but might in larger settings? If so, what supports are needed? Your classroom is quiet so the noise doesn’t bother him. Does he needs earbuds or an escape / break area when the bigger setting is too overwhelming? Don’t wait for him to demonstrate the problems in the larger setting. Be proactive and help him be successful from the start. I can’t say enough about this one. Take your reinforcers. 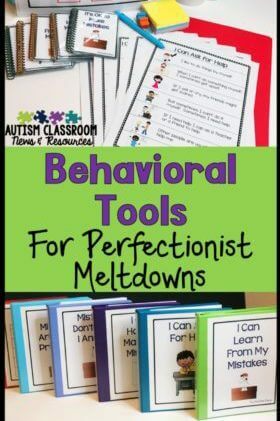 Use your reinforcers for appropriate behavior and academic success. However you reinforce in the special education setting, reinforce more outside the special education classroom. This includes whether it’s the hall, recess, specials or general education. More complex environments generally need higher levels of reinforcement. Use token boards, point cards, or just random reinforcement. Have staff in the larger setting give the reinforcers so they are paired with reinforcement. how to wait for our students to respond (if they process more slowly). how to model a skill and wait for a student to copy them. that sometimes our students communicate with pictures and use those pictures to communicate back. Do reverse inclusion where you bring peers into your classroom for part of the day to interact. That familiarizes them with your students (and your students to them). It also allows you to be there to facilitate and teach. Select a small group of 4-6 students who like your students. 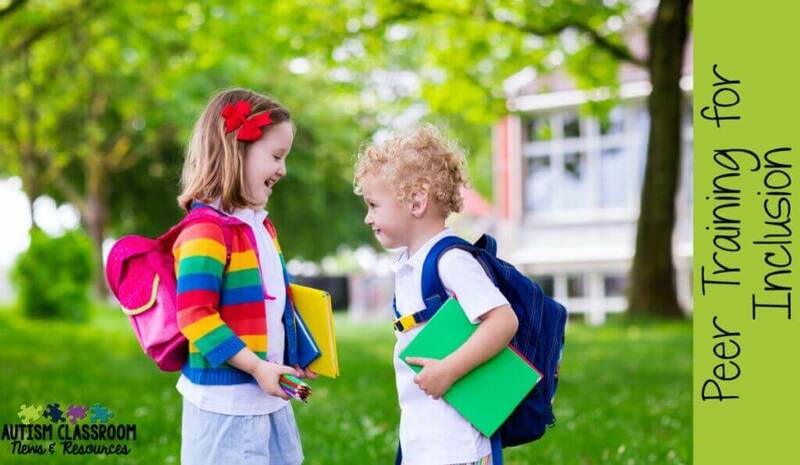 Use recess or lunch to strategically set up opportunities for them to interact with your students. Have inside recess? Use that time to have a small group of students rotate through your classroom and structure opportunities for them to interact. Choose a subset of 4-6 students in a general education classroom and spend the first part of the year structuring interactions between a student with a disability and each of them. As they become independent at their interactions, you can fade out and let it happen more naturally. 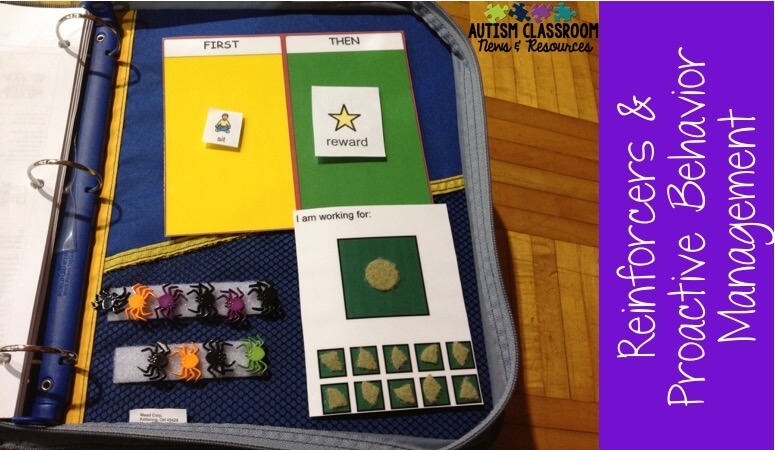 Show them how a visual schedule works so they can use it in their classroom. Show them how to reinforce and have them practice with the student so they become a conditioned reinforcer. Brainstorm with them some ways to modify or accommodate assignments successfully. Make sure they know what information they can share about a student and how to handle other students’ questions. Finally there are a few more tips within the video of tonight’s Facebook Live. You can catch the replay below. 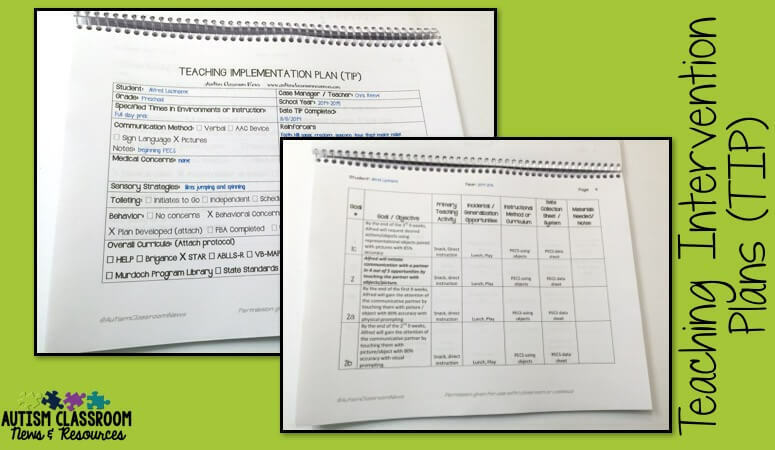 In the meantime, if you are looking to use the Teaching Intervention Plan (TIP), you can find a manual with it in my store. Thanks so much for this post. Amazing ideas. This post is just what I’ve been looking for! Can’t wait for your post about how to train peers…can you point me in the direction of some good resources in the mean time?